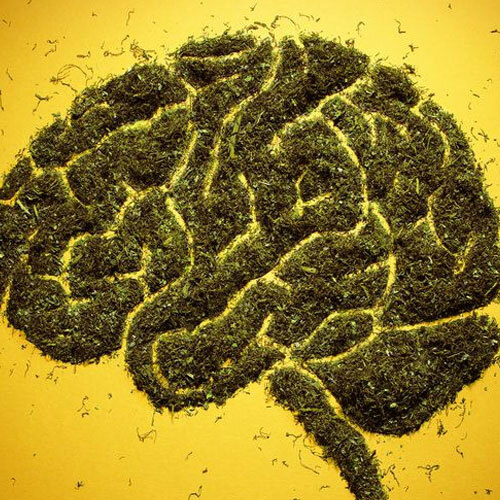 Part three of our Blog Series on the Endocannabinoid System. 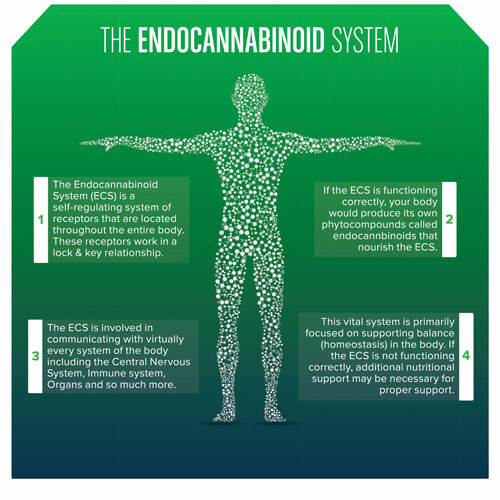 Now you know the basics of the ECS, and why cannabis has earned its rightfully superior place in the history and future of medical science. You have also learned that cannabis is not the only substance that interacts with the ECS. Now let’s turn our attention to the primary function of the ECS: SELF-REGULATION. The awareness of how we can cultivate our self-healing potentials is, for me, the most exciting aspect of what the ECS is helping us learn. The ECS has been around for 600 million years. So far, insects are the only animal group in which they have not found evidence of an ECS. How many species with an ECS do you think use cannabis to manage it? There are a few species that do consume cannabis, mushrooms, and even the neurotoxins from a poisonous puffer fish. So, we are not totally alone in the animal kingdom when it comes to using psychoactive substances. But it seems safe to say that most animals do not depend on cannabis for maintaining balance of their ECS, or for their health in any way. So, while we support the study and use of this amazing plant and its healing potentials, let’s also remember that this system is not dependent on cannabis in any way. It is, however, dependent on us learning what substances and practices do bring it into or out of balance. After many years of study on this topic, I have come to appreciate the deeper lessons that exist with an understanding of this concept. 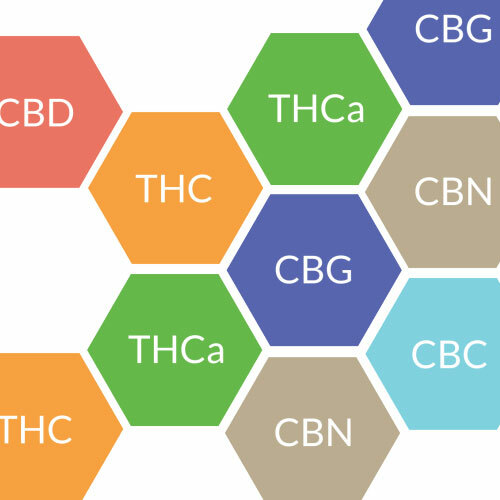 As we discussed in the previous blog ECS 101, cannabimimetics are not just cannabis-like substances. Practices like running, meditation, acupuncture, etc. may restore homeostasis by regulating these networks of signaling pathways. Conversely, other practices like poor diet, lack of exercise, trauma, etc. may compromise this system and therefore our health. On one level, this is not novel information, right? We all know we need to do healthy things to recover our health. The new puzzle piece is that modern science didn’t know there was a network of signaling pathways that, when stimulated or understimulated, results in activation of different physiological reaction cascades in various tissues responding to the substances and practices we are using. A network that is not just in the nervous system. A network that can not be easily ‘seen’ or measured. A network that is so sensitive that it is stimulated by the most subtle energetic impulses. In fact, it is so sensitive that it can be thrown out of balance just by a thought or feeling. This is why it took a psychoactive substance like cannabis for us to discover it:this is why the ancient physicians knew about it! Classical Chinese medicine is rooted in energetic cultivation practices, on building a very deep level of awareness of the subtle energies that move through our bodies (via invisible networks) that produce a reaction cascade in response to various stimuli. One study proved that it is the endogenous cannabinoid AEA or anandamide (the bliss molecule) that creates the runner’s high. Not endorphins, adrenaline, dopamine, serotonin, etc. The ECS is the first place of contact for simulations which then sets off a cascade of other actions to create balance. This research article just came out in 2017. I am still among a small group in the field of Chinese medicine who are connecting these dots (or receptors as the case may be). But it is happening, and it is exciting to be part of this evolution in science. Now you are a part of it too! Acupuncture (and all of CM) is rooted in a system with unbelievably similar pathways and physiological correlations to the ECS! So, everything we do in CM is cannabimimetic. Although yoga and Ayurveda differ a bit from CM, they too are based on nature’s elements and a refined networking system using the term ‘nadis’, that is actually quite similar to the CM ‘meridians’. The Thai medicals system is also similar and calls their network channels ‘Sen’ lines. The point I am hoping to get across here is that if we want to learn how to better balance our ECS, and therefore our overall well-being, a great place to start is to look at if we are living a cannabimimetic lifestyle. And, we just so happen to have a very refined, elegant, and well researched model to follow in classical Chinese medicine theories and practices. Additionally, we have more proof that implementing healthy diet and lifestyle practices is cannabimimetic. In time, I believe science will show that this is the real key to self-healing on levels we have long forgotten, but that have existed in us and other animals for a very long time. Although cannabis has and will continue to play a major role in this evolution, it is so important to remember that it is not the alpha and omega in the journey. The priority needs to remain on looking at our whole system, and ways to most naturally and effectively help create balance within that system, despite the occasional traumas that our systems must endure. For this, we need to focus on cannabimimetics, to help support our ENDOGENOUS, naturally occurring cannabinoids and networks. I have several options for those who would like a more detailed look at how these networks, substances, and practices are viewed from a Chinese medical perspective; and how these beautifully correlate with the ECS and issues being associated with it. Please schedule a private consultation anytime, or book me for presentations at your school, dispensary, medical institution, or conference. My ebook and ecourses will be launched in 2019. I look forward to supporting every one of you in optimizing your health through a better understanding of these systems and practices.